Woke up this morning and it was so dull and gloomy outside. It was cloudy and had just rained. When i eventually got out of bed, as hard as it was i went to the supermarket to buy lemons and poppy seeds. I'd never even seen or heard of poppy seeds till now so i did a little googling. Its an oilseed obtained from a plant called opium poppy. That's really all i was able to find out about it. They are tiny, blueish seeds that gave the cake a crunch. Didn't particularly give a taste as the lemon was quite strong. 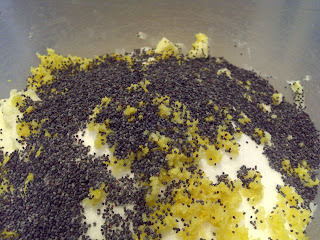 Grated lemon zest, poppy seeds and all the regular cake ingredients all mixed together. I must admit i was a bit distracted and skipped a step there. I was meant to mix the milk in first before adding the flour but i had put in a third of it before i realized. I don't think it was a big deal though, i just mixed in the milk and carried on. Then three egg whites whisked till stiff peaks formed folded into the mix with a metal spoon. I'm still trying to find out why its necessary to use a metal spoon to fold egg whites in. I got a twenty four inch ring mould this week, and it wasn't very easy to find in the shops.I had to search for it online. I need a twenty five inch one for the next few recipes but i haven't been able to find it so I'm just going to use this one. I greased and dusted it with flour before i poured in the batter in. While it was in the oven i made a lemon syrup which i poured on the cake once it got out of the oven. It looked and smelled really nice. Getting it out the mould was an issue. Maybe i didn't put enough flour or didn't grease it well but i had to shake it up before the cake fell out a bit cracked. Not much damage done though, it just wasn't as brown on the bottom (now the top )as it should have been. I made the lemon glaze which was basically lemon juice and icing sugar and poured it on when it was cold. This one, i like. 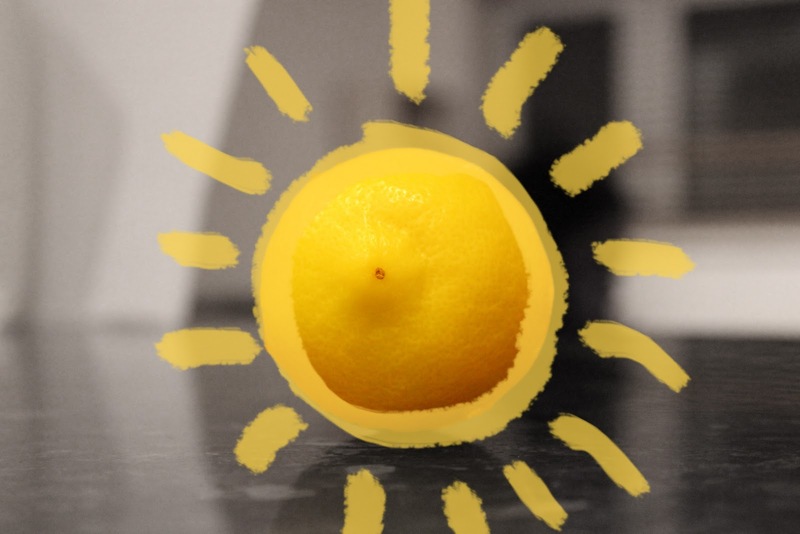 Sweet but the lemon gave it a little kick. This one was great Temi! Thanks for sharing it with us! !